The crisp air of fall is almost upon us, and for those of us who live with chronic pain that can mean many things. 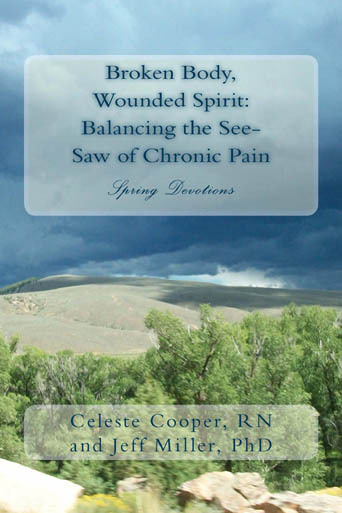 In an effort to help others and myself through the season of harvest and to have daily reminders of things I could do to enrich my life despite living with pain, the Broken Body, Wounded Spirit: Balancing the See-Saw of Chronic Pain series was born. I am grateful for my co-author Jeff Miller, PhD and the many people who have supported me by writing endorsements for the book, and for the many kind comments from our readers. 1 - This is a great book, simple and effective! When you live in pain it's easy for the world to seem like it's falling apart. Waking up each morning in pain doesn't really help your focus, other than focusing on the pain itself and then building our day around the pain. It seems that we forget about all of the life that is going on around us and what it has to offer. This book is a reminder of all that life has to offer when you're losing focus. The book is well-written and easy to read. +1 for anyone needing help with kick starting their days. 2 - I purchased copies of this book (and the summer devotions book in the same series) and shipped them to my mother, who has lupus, and my mother-in-law, who has fibromyalgia. What a nice surprise and caring gesture, they thought. They found the daily devotions to be helpful in providing different ways of thinking about and coping with their pain. Mom is taking care of my dad, who has terminal cancer, and she said it helped her understand and deal with him better also. As a counselor, I appreciate the good mental health approach that the authors take. 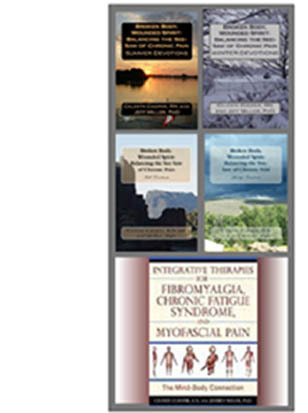 The book not only provides help for coping with physical pain but emotional pain as well. 4 - Working as a massage therapist we see and help to work with other health professionals to treat clients who deal with pain on a daily basis from varied sources. Finding a reference source like this that can help assist individuals to make constructive creative investment preforming motivating positive life change is a gift. Thank you for your hard work and dedication to a medical issue that leaves so many feeling passed over and unheard. I hope this series helps those in need to see that many caring hands and hearts exist to help light way toward happy, healthier living. 5 - This book was very informative and helped me in so many ways as i am living with chronic pain. I am so thankful for the help this book has given me and I look forward to the next book. Thank you!! 6 - This is an "uplifting" book that is well written. I even followed the author's suggestion and wrote my own poem ! Fall Devotions, and explore again. 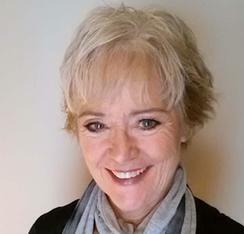 Celeste is a patient, author, and advocate for all who live with chronic pain. Read more about Celeste, the table of contents, and endorsements inside the cover. You can also read more about Celeste and her other books here.